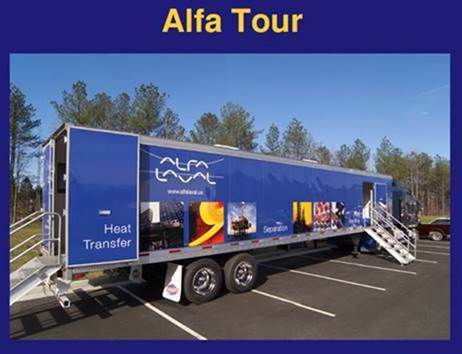 6.00pm-6.30pm: Interactive Tour of the different kinds of heat exchangers in the Alfa Laval Trailer. Q&A session integrated in tour. $8 Webex option – Please select from Drop down menu and Laura-Ann Chin (lauraannchin@gmail.com) will be in contact with follow up webex info. Come on out on Monday October 17 @ 5.15pm for a Special Hands-On Interactive Touring PDH on Heat Exchangers. This PDH will explore how plate and frame heat exchanger technology can solve a majority of efficiency challenges and reduce fouling issues commonly dealt with shell and tube heat exchangers. This presentation will challenge the audience to consider this technology transition through the interesting case studies and photos which will be presented. This PDH will begin with a 30 minute introduction in the 3rd Floor Main Conference room of Jacobs Engineering, Conshohocken and will proceed on an interactive tour of the different kinds of heat exchangers used in industry today. Some common heat exchangers include shell & tube, plate and frame, spiral, compabloc, compaplate, etc. All of this will take place in the Alfa Laval Trailer parked right outside the Jacobs Engineering parking lot. This interactive PDH will also integrate a question and answer session throughout the tour as well. So come on out on Monday 10/17/16 @5.15pm to learn more about one of the most common and fundamental unit operations in engineering: heat exchangers. 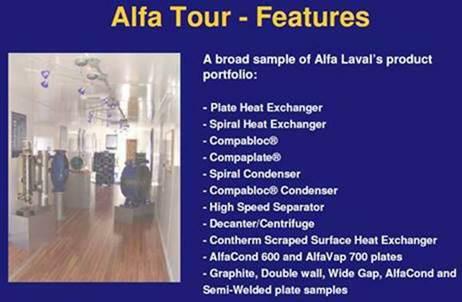 Mohan Dhas is the Marketing Sales Manager specializing in Petrochemicals for Alfa Laval USA. He has previously worked in the Middle East for 10 years out of Dubai working in the refinery business. Process Engineering is his passion and he enjoys working with clients to help integrate heat transfer solutions in addition to process optimization to solve everyday engineering challenges. His global clientele includes markets in Asia Pacific, Middle East and USA. Please register no later than Monday October 17 at 5:15 PM. Cancellation requests received by the registration deadline will be fully refunded.